Today I am working on a customer’s Janome 6600. She brought it in because the machine was unusable. When turning it on, the screen said “E1 Error”, and it would not sew. Actually, it wouldn’t do anything. The fix was quite simple. There is a fuse on the main board that needed to be replaced. This fuse is kind of a weird one, a 3.15A ~ 250V slow burn fuse. Unfortunately, to access the fuse required that a good portion of the sewing machine was disassembled. I’m only mentioning that because it’s not something that a person could do unless they had experience with sewing machine repair. So, if you get this dreaded E1 error, don’t fret. 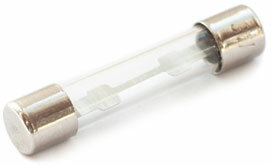 We keep these fuses in stock, and can have you back to your sewing in a short amount of time.